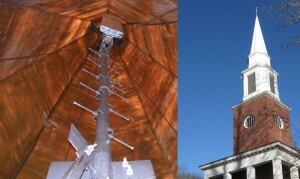 Today Show story featuring mobile phone towers inside church steeples. ProTerra Design Group delivers specialized engineering counsel to support the expanding wireless telecommunications and mobile broadband market across the Northeast. Thomas E. Johnson, P.E., Managing Partner, has successfully led engineering design for more than 1,000 telecommunication facilities including major national carriers and tower development companies throughout New England along with local and regional clients. We offer the dedicated industry expertise telecommunications providers and tower developers need to support optimal site location selection, engineering, agency coordination, zoning and wetlands permitting, project representation, and construction administration. We back your project with a diverse professionally licensed staff that brings real-world building experience, able to deliver rapidly and efficiently at a competitive rate. Let us help you navigate ever-changing technology, permitting, and design requirements. We’re pleased to have earned a trusted reputation for delivering innovative yet practical solutions to a range of structural challenges and site complications including church steeples and concealment enclosures. Bring years of specialized industry experience to your next project. Contact us today to learn more. Thomas E. Johnson, P.E. 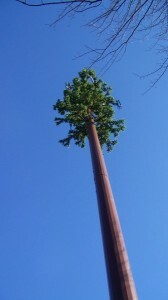 (Managing Partner) has managed the engineering design of over 400 telecommunication facilities for many of the major national carriers and tower development companies.